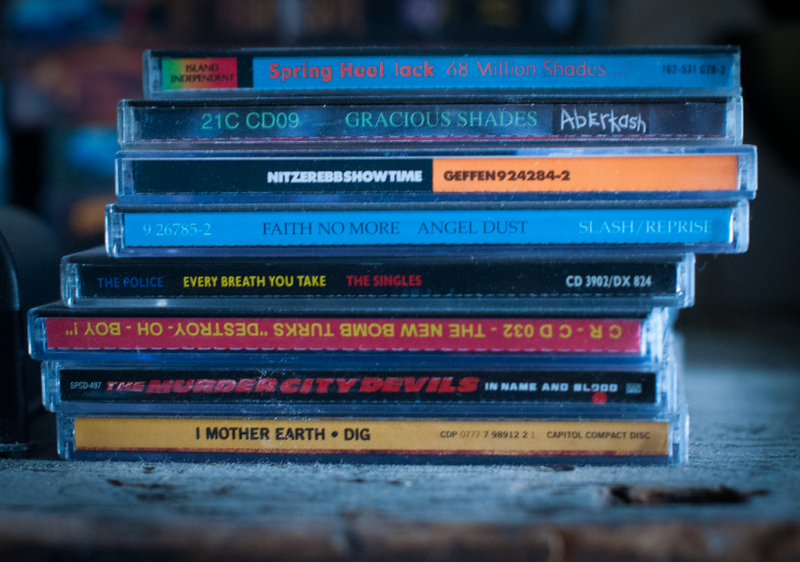 Recently, as I grew tired of listening to the same stuff over and over again from my phone, I tossed my big CD book into the truck and have been revisiting some albums I hadn’t heard in a while. This got me to reminisce over the feeling of discovering a new band, or picking up the latest album from an old favorite — things that just don’t happen anymore. And, for most of those in their teens (20’s probably) and below, an experience they sadly may never have. I grew up primarily as part of the Tape Generation, though did make some of my earliest music purchases on vinyl (and again much later in college). I remember the joy of opening and exploring the deluxe tri-fold packaging of The Cult‘s Electric, and how much fun it was to toss on a 7″ of “Parents Just Don’t Understand” or “Nightmare on My Street” by DJ Jazzy Jeff & The Fresh Prince. 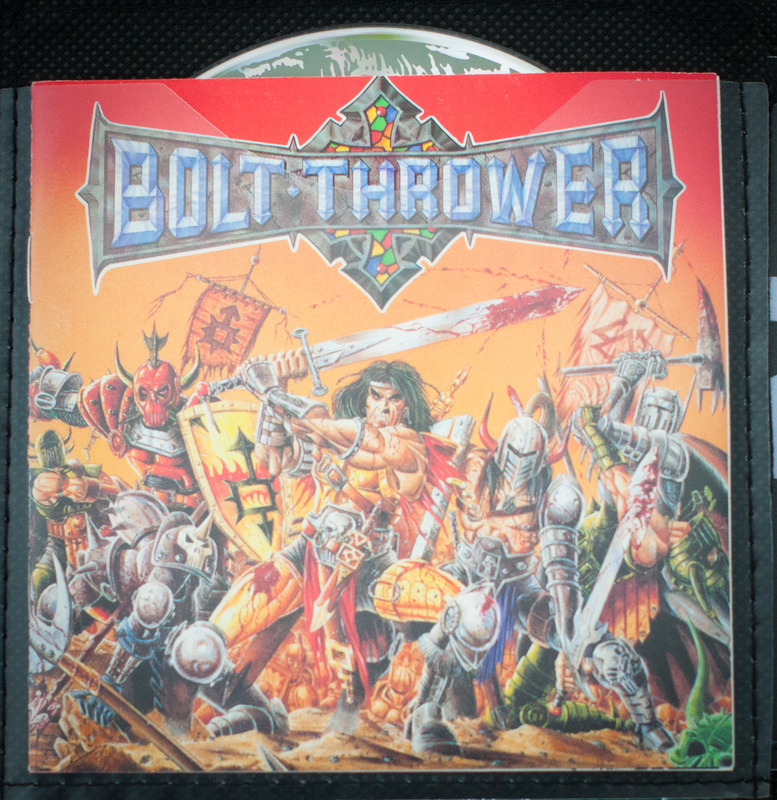 I can tell you the first tape (Beastie Boys‘ License to Ill) and the first CD (Bolt Thrower‘s War Master) I purchased for myself. I remember the anxiety over purchasing Slayer‘s Decade of Aggression, complete with my first PARENTAL ADVISORY tag (and the scolding I received from my dad when I brought it home). And you know what? I still have these!!! Because they’re things you can actually have and hold onto. More than anything, there was the sense of music existing as something physical. Something you feel as you turn up the volume, sure, but also something you hold in your hand. Together, your music was a collection you pick and choose, and continuously maintain, that defines you in a way unique and more personal than any other representation I’ve known. It was something you shared proudly with your closest friends, rejoiced in overlapping tastes and found a quiet comfort in those that didn’t. Going to the record store (yes, those still existed, and yes that’s what they were called) would yield new discoveries for those who were looking. However, because of the physical aspect of music this exploration was also a physical search, which made it much more of an adventure. 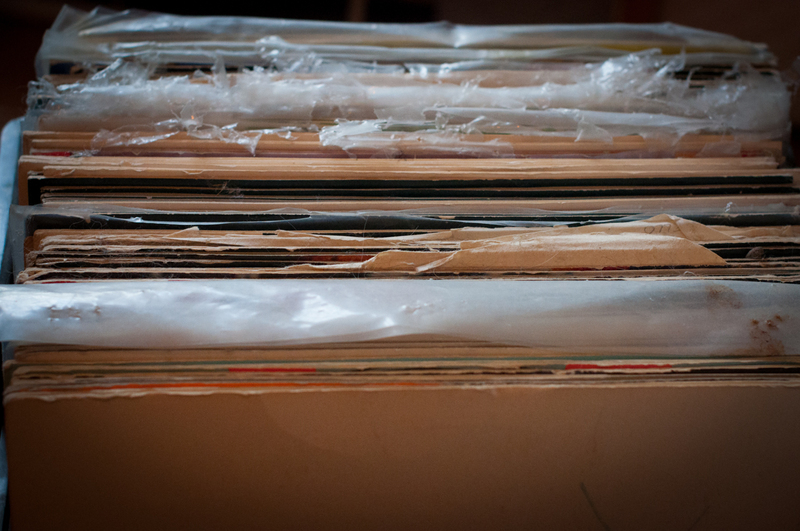 Flipping through genres, or alphabetically-sorted racks, with maybe thousands of albums available (often less), one could be rewarded with a much-sought-after classic hard-to-find early album or something entirely unknown that speaks to the would-be listener through the album artwork and presentation. Hell, that’s what got me into almost all of my death and black metal back in the day. That’s just not something you can do in the iTunes Store, currently boasting more than 37,000,000 songs (roughly what you and your 3 closest friends would be able to listen to if you did nothing but listen to music from the day you were born to the day you died). Kids these days don’t have any sense of what it means to really find something new. 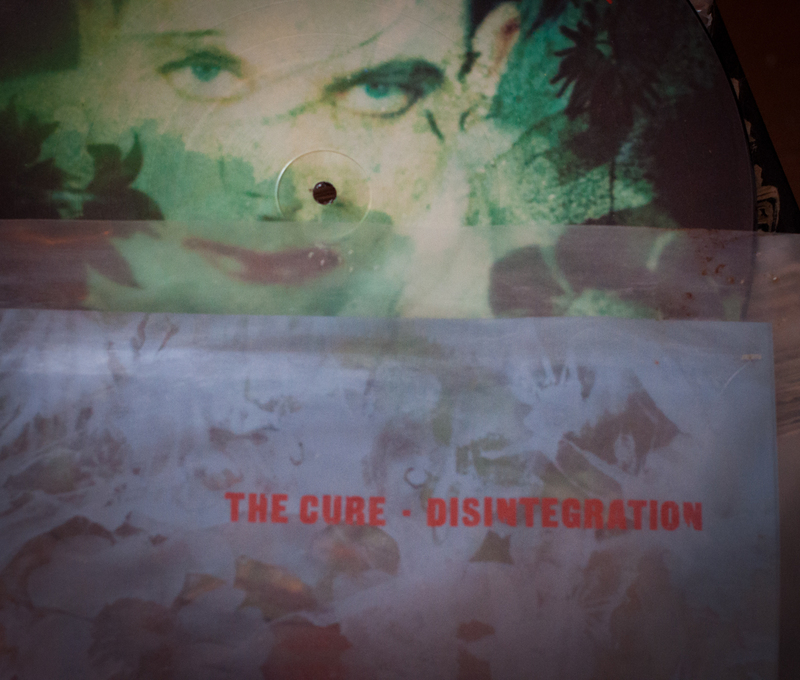 In fact, it seems they’re mostly listening to singles without a sense of the greater album it belongs to. To be honest, most of my music purchases these days are digital. I also pretty much still listen to all the same music I was listening to 20 years ago. I have yet to find a good replacement for the record store, so what I purchase tends to be stuff I saw on the shelves back in the day but didn’t have the cash for at the time. Alternatively, I have been able to find some good suggestions from Last.fm (as opposed to more “mainstream” services like Pandora, which just seem to care about what’s getting radio play). These days music has no physical nature. It lives on a computer, or even worse on the cloud, as a digital something that doesn’t require a shelf to organize and maintain. There’s no sense of placing your favorite albums right up front, or grouping by the mood that’s likely to inspire you to play one song over another (High Fidelity anyone?). And no, playlists do not count. Furthermore, music is now most often enjoyed via headphones or tiny little earbuds. There’s no feeling the rhythm in your feet, or the bass in your chest, or becoming overwhelmed to the point that you pelt out the lyrics yelling as loud as you can. There’s just no physicality. Now, as a quick side note, I was never one to spend much time at concerts. I don’t like big groups of people. However, when I was a teen we had a number of amazing local bands that would play at a few venues around town, mostly peers of mine, and I would do anything I could to attend these events. I don’t honestly know if that’s still a thing these days, but I certainly don’t see it where I’m living now. Maybe what bugs/scares me more than everything I’ve just written is that kids growing up today, who don’t have this close personal experience with music, don’t seem to have anything with which it may be replaced. It’s creating a hole in the process of “growing up”, and I’m fairly certain that’s going to lead to less full individuals in the end.